Well well well, another year, and another Cosmopolitan Blog Award has come. As my blog has been somewhat of a hobby for the last year, it has only been the last few months that I have decided to blog more regularly and have tried to up the anti by improving my writing and photography. Unfortunately, I have never been nominated for the Cosmo awards, but this year I thought I'd try and see how many people would vote for me. Hey, if you never try you will never know. I have been blogging for two years but it's only been just under a year that I have been bloging more regularly trying to take my blog to the next level. Blogging has given me so many opportunities that I could have never imagined and it's an honour that I have the chance to work with some of my favourite brands, and what makes it even more special is that you guys get to be a part of it with me. I feel like over the last few months I have built an amazing little community and can't wait to see where we will go next. 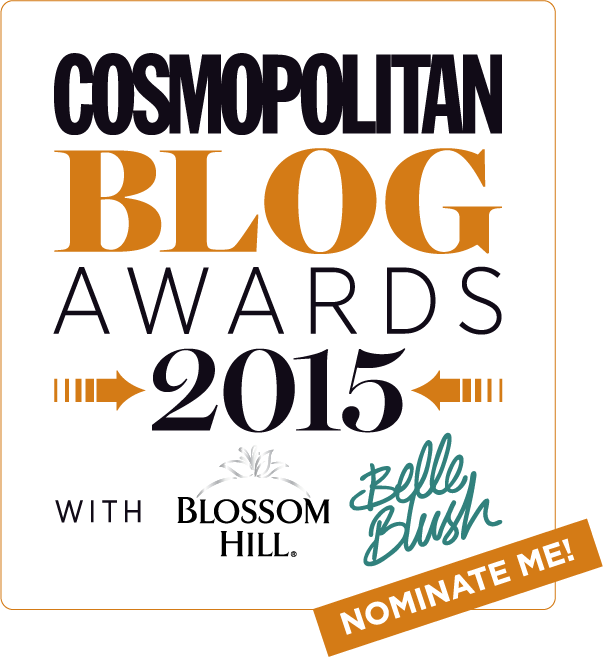 EDIT: Nominations are now closed, and I have been shortlisted for Best Fashion Blog. I would really appreciate if you could vote for me to win by clicking here and selecting This Is Teral (on the second page).